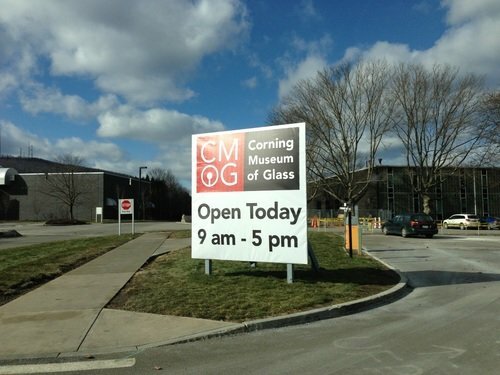 In order to find out more about Corning, I made the trek this past weekend with the family to the Corning Museum of Glass in Corning, NY to learn more about the company’s history. It was a fascinating trip – worth the 4.5 hours’ drive in each direction. You can walk around a seamlessly endless variety of works-of-art based on glass and related materials. 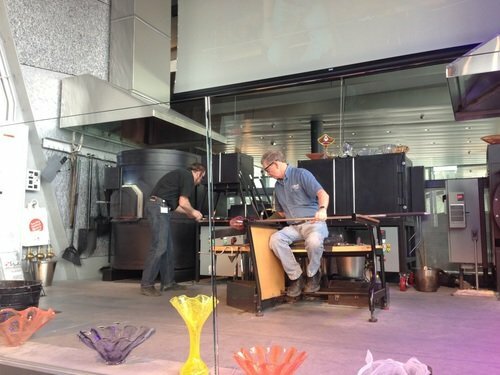 In addition you can see 15 minute shows on topics like hot glass where a glass design is made in front of your eyes. In addition there is a flameworking demo where you can see more glass made – but in this case the flame is handheld – not from an oven. The glass breaking demo was fascinating as well – you learn about why glass breaks and how it can be made more safely. 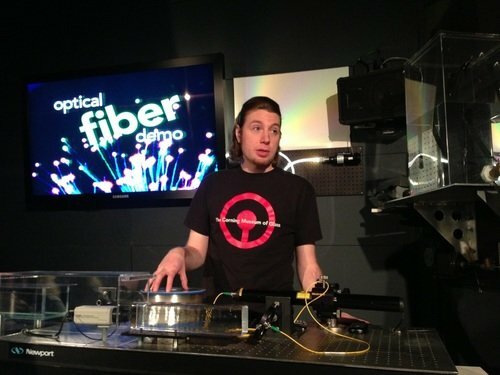 Finally the optical fiber demo did an amazing job of explaining in plain English the technology which is responsible for letting you see these words. Of all I saw, most fascinating was Colladon’s Experiment (below) where you witness that light stays trapped in a stream of water due to internal reflection. The light escapes and becomes visible only when you break the surface tension of the water by doing something like letting a drop of water hit the stream. Once this happens, you can instantaneously see the hidden light. This is the same principle behind the fiber optics market and this discovery is one of the many which made the high-speed internet possible. 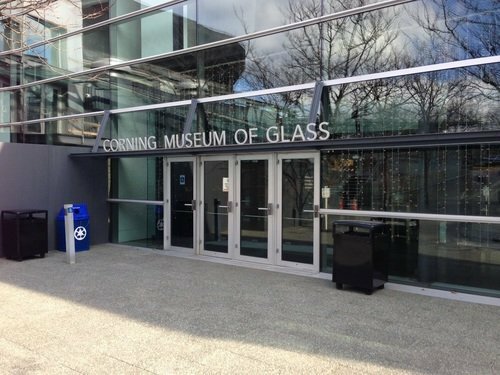 Throughout the facility are videos and signs giving you a sneak peak into how glass became an essential part of WWII and also is used in telescopes, periscopes, microscopes and fiberglass insulation. You also get insight into how glass had to be developed for each of these applications and what became possible as a result. Most interesting of all were two common themes. Many of the inventions made by Corning scientists happened as a result of experiments but turned out to be accidental. I’m not taking anything away from these scientists mind you – just reiterating what they explained themselves. Of course there are also lots of example such as the CRT-based TV where innovation came through sheer persistence. For example, allowing the development of rectangular glass which many said was impossible to make. Moreover, many of the innovations the company created like optical fiber were invented before the market was really ready to embrace them. 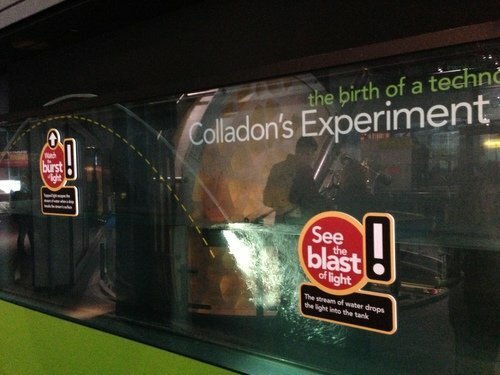 The museum is great for techies and non-techies, adults and children. 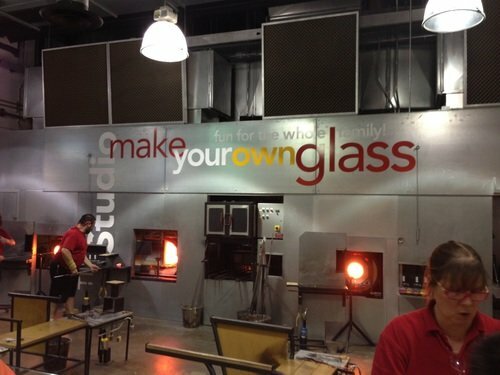 For an additional fee you can make your own glass work of art. 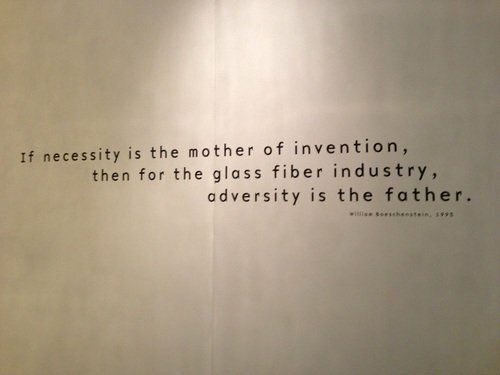 Sadly Gorilla Glass was what I hoped to see as part of the day but it was conspicuously absent. Thankfully I brought a smartphone and tablet with me to the museum so it really wasn’t missed.